Home / "Speak Lord, For Your Servant Is Listening"
The Old Testament Lesson begins by telling us that Samuel is in the temple serving as a helper to the High Priest, Eli who has become elderly and infirm. Samuel lives in the temple with Eli, tending to his needs. Think of him as a full-time acolyte. For his own part, Eli is a sad symbol of what Israel has become—blind to God’s ways, work and will. In theological terms, Eli represents the vested interests of those who are used to having their way and assume this will continue indefinitely. Eli, like Israel, is far from the heart of God. Today’s lesson reminds us of two things of great importance. First, that age is not a qualifier in terms of call. God does not call only those who have reached the age of majority—God calls children and adolescents, in addition to adults and the elderly. Second, today’s lesson reminds us that more often than not we need the assistance of others in discerning our call—and this assistance comes from those of other generations. In other words. Call and discernment is a multi-generational effort. No one is left out. Call and community are intertwined. 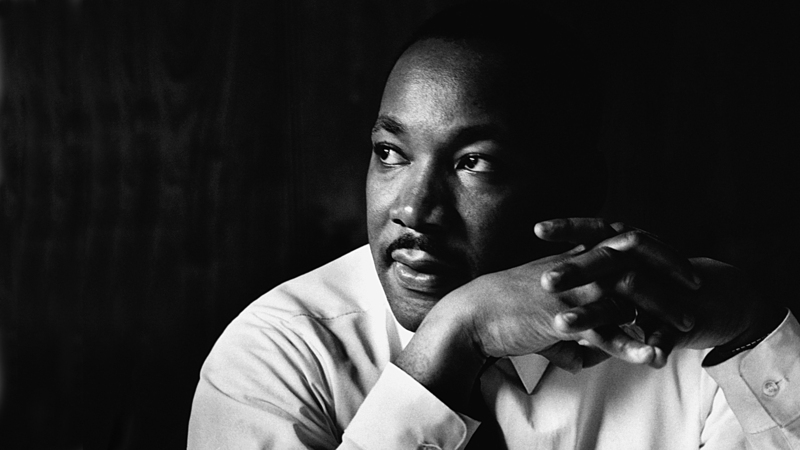 This weekend we pause as a nation and remember the sacrifices made by The Reverend Dr. Martin Luther King, Jr. and others during the Civil Rights Movement in the earlier decades of the twentieth century. Because today’s lesson focuses on Samuel, a child, I thought it might be helpful for us to consider that at its height in the 1960s, the Civil Rights Movement drew children, teenagers, and young adults into a maelstrom of meetings, marches, violence, and in some cases, imprisonment. Ask yourselves, why did so many young people decide to become activists for social justice? Several activists who were interviewed for the Civil Rights History Project were in elementary school when they joined the movement. Freeman Hrabowski was 12 years old when he was inspired to march in the Birmingham Children’s Crusade of 1963. While sitting in the back of church one Sunday, his ears perked up when he heard a man speak about a march for integrated schools. A math geek, Hrabowski was excited about the possibility of competing academically with white children. While spending many days in prison after he was arrested at the march, photographs of police and dogs attacking the children drew nationwide attention. Hrabowski remembers that at the prison, Dr. King told him and the other children who were behind bars, “What you do this day will have an impact on children yet unborn.” He continues, “I’ll never forget that. I didn’t even understand it, but I knew it was powerful, powerful, very powerful.” Hrabowski went on to become president of the University of Maryland, Baltimore County, where he has made extraordinary strides to support black students who pursue math and science degrees. Now, consider that so many of these “calls” came to people in places of faith and worship and to people of faith. I refuse to believe this is by accident. Consider, that the promises made at your baptism obligate you to live into the principles espoused by our Lord in the Sermon on the Mount and elicited in our Baptismal Covenant: to seek and serve Christ in all persons, loving our neighbors as ourselves, and to strive for justice and peace among all people, and respect the dignity of every human being. Dr. King once said: “Vanity asks, is it popular? Politics ask, will it work? But conscience and morality ask, is it right?” We are left today with the challenge to listen deeply for the voice of the Lord—a voice which so often doesn’t simply call us to be relax and comfortable, but to rise up and change the world. We have come so far since the time of Dr. King—yet, as contemporary events have taught us, we have far to go. Over the past few years we have seen an unprecedented rise in white extremist groups recruiting on college campuses, and white nationalist organizations holding rallies in Charlottesville and other cities around our nation. The issue of civil rights continues to be an issue with which we grapple on a daily basis. This week, ask yourself and your neighbors what change God is calling you to enact for a better, more righteous world for all people. And then, like Samuel, respond: “Speak, Lord, for your Servant is listening. In Jesus’ name. Amen.